WordPress is probably the most popular CMS (content management system) for today. Using WordPress, you can deploy your site in minutes, running which you can create a personal blog, a set of information articles, one-page landing, an online store and much more. 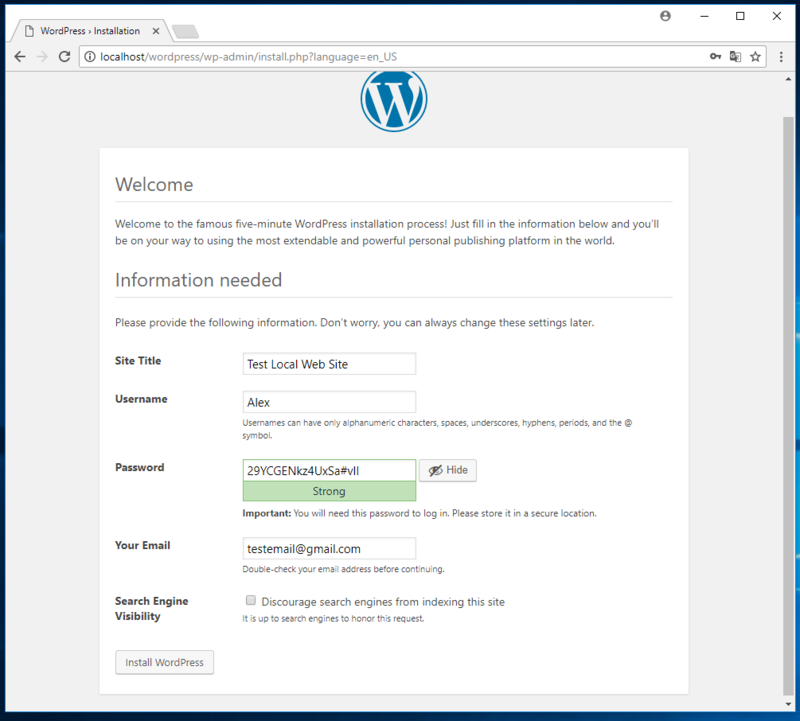 This note will show you how to install WordPress on Windows. 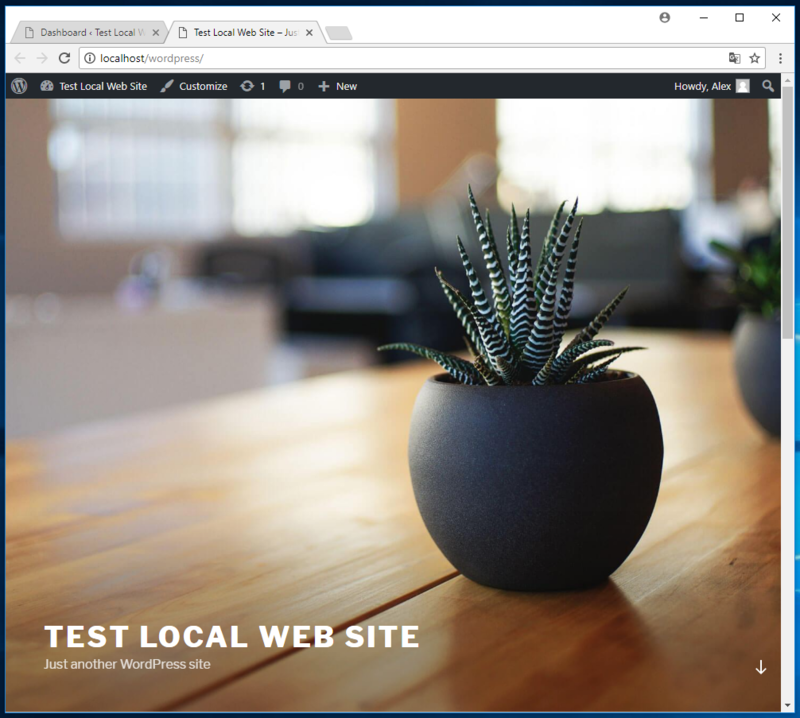 WordPress on the local computer may be needed for testing, for creating a local copy of a site and for other aims. What is necessary to start WordPress on Windows? WordPress is a web application. It requires a web server. PHP and MySQL are also needed. All this you can configure according to the guide ‘How to install web server on Windows 10 (Apache 2.4, PHP 7, MySQL 5.7 and phpMyAdmin)’. This instruction assumes that your web server is installed on the manual, the link to which is given above. WordPress is an engine that is written in PHP and which uses the MySQL DBMS. 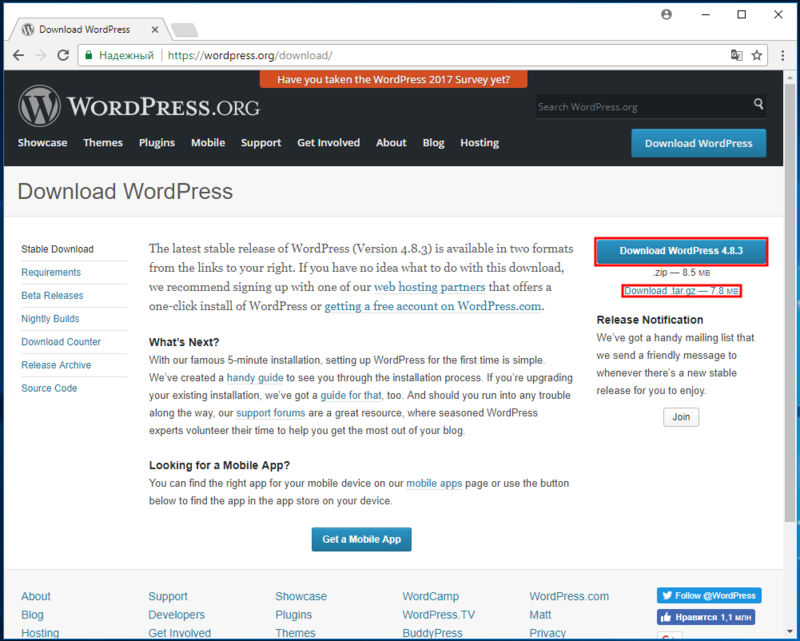 Therefore, for WordPress there is no difference in which operating system to run. Those, if you installed and configured a web server, it does not matter to you whether you are on Windows, Linux, FreeBSD or any other operating system. Whether you are running 64- or 32-bit system does not matter too. Being a web application, WordPress does not interact with the OS directly; it works ‘inside’ the web server. For Windows users, the ZIP archive is a little more convenient, since it can be unzipped by standard OS tools. 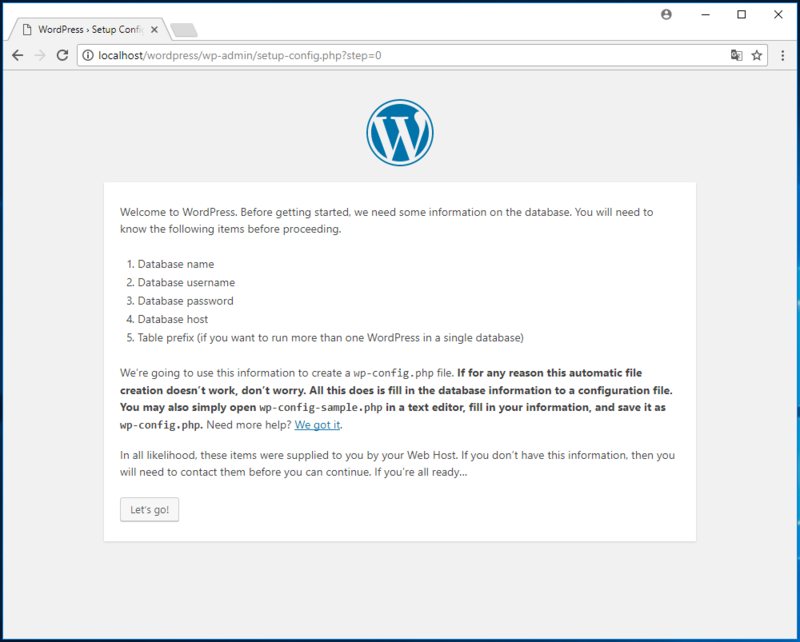 Since WordPress uses MySQL in its work, first we need to create a database for our future site on WordPress. The easiest way to do this is using phpMyAdmin. 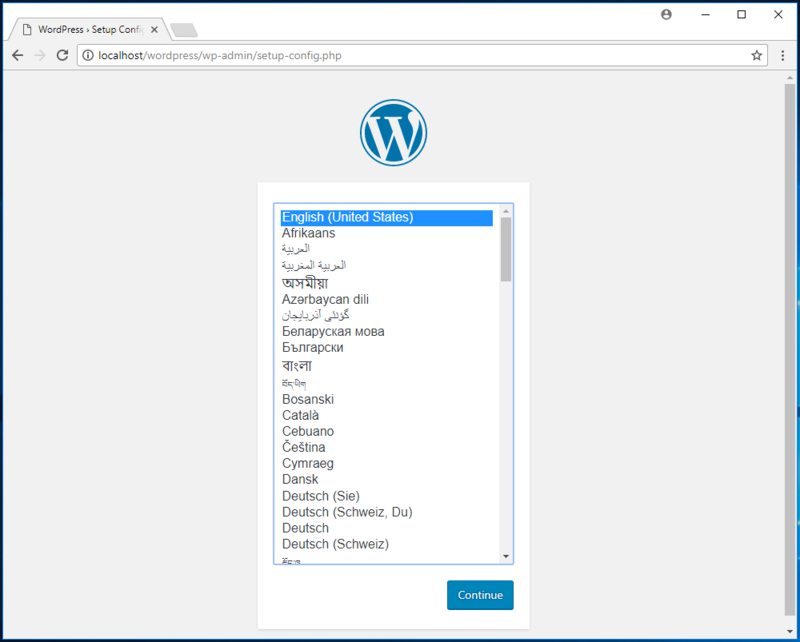 As you can see, for the database I chose the name test_wordpress. When everything is ready, click the "Create" button. Any further work with the database in manual mode is not required - we do not need to add tables or do anything else. This window explains what information the installer will ask you in the next step. 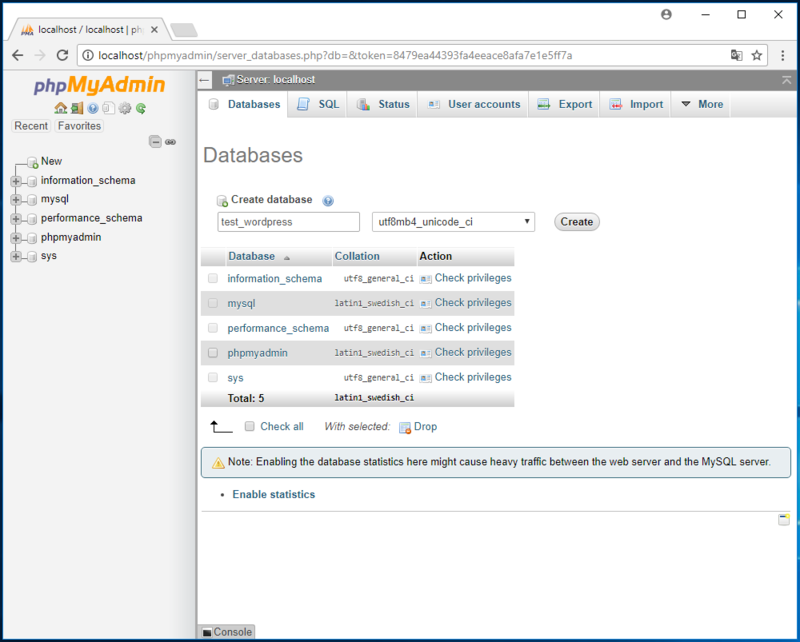 The Database name is the same name that we recently entered in phpMyAdmin. In my case it is test_wordpress. 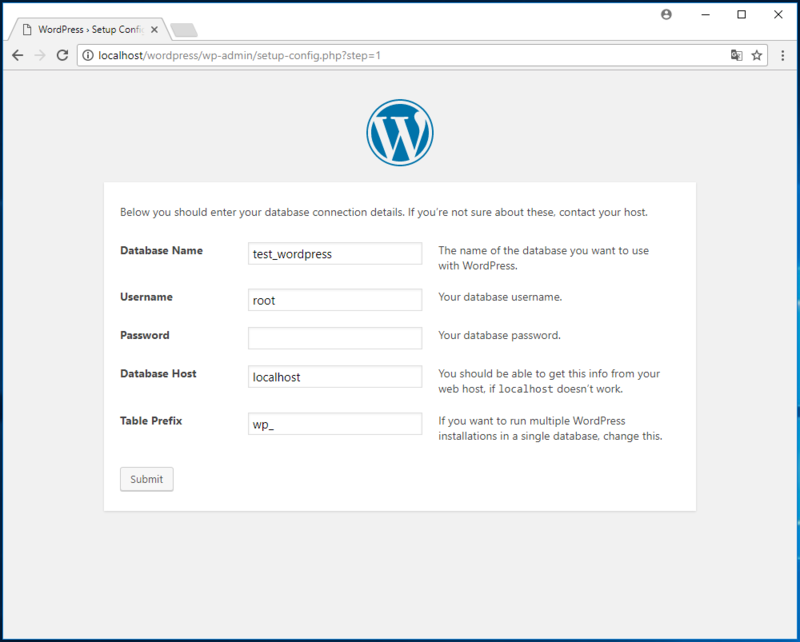 The Database username is the database user (do not confuse with the WordPress user). If you installed a web server under an article that was previously referenced, then the user name is root. If you did not set a password for the root user, then the Database password is an empty string. On the local computer, enter localhost as the Database host. Do not change the value of Table prefix. When you are ready, click the "Submit" button. In this case, you just need to click the "Run the install" button. 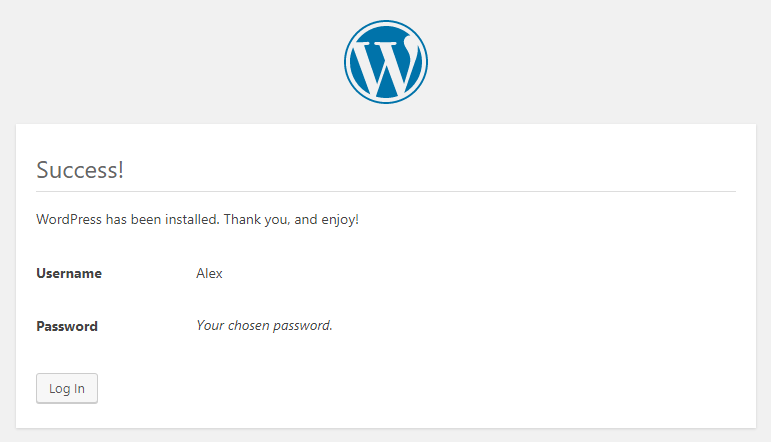 All ends with the "Install WordPress" button. Click the "Log in" button and enter your credentials. Your site is available at http://localhost/wordpress/ (the address may be different, depending on the directory where you copied the wordpress folder.